Here ’round the Bay area, we don’t just stick with DMR/ MotoTrbo, In fact we’re interested in all commercial digital voice modes. If you’re into getting your ‘hands dirty’ and hacking on old Motorola digital gear for fun, here’s a glimpse of what we play with on dark sunday evenings. It used to be that most PMR conversions were hours of painstaking research, winding coils, doing mathematics, and actually burning your fingertips with a soldering iron, but now its in mainly about swapping that soldering iron for a keyboard, so onward with the learning process, and remembering the ‘experimentation in wireless telegraphy’ bit, (remember that ?) and do it just for the hell of it. Its an Astro Spectra above, one of many different sorts we’ve collected over the last couple of years, nice old sets, 1990s vintage, heavy as a paving stone, no light alloys and thin parts, it really is a solid lump of metal with a radio inside, don’t drop it on your toe. there are portables, more recent versions, but these are just right for hacking on. The more geekier of you out there may be thinking ‘ oh, p25 ‘ well, its not. its pure ASTRO – Its what Motorola made before p25 was the standard, its got alot in common, and most Astro Spectra’s ARE p25 – but these are an earlier iteration, and the codec is actually VSELP as opposed to IMBE/p25 sets which most are. We use Astro digital, Astro 25 digital (Motorola’s name for P25) and DMR. for now. Plenty of these sets are all over Ebay, i got a headless one for a penny, but they go for about 30 ukp and up. when buying a Astro Spectra there are several things to think about. 1:) there is a Analogue version just called ‘Motorola Spectra’ avoid unless you want a FM only set. 2:) there are VHF, UHF and 800/900mhz versions and can all have different & software-upgradable features. 3:) the sets are ‘banded’ so a 450-482mhz set needs more work to convert than a 403-440mhz set. 5:) there are different front panel versions and they have plenty of channels too. 6:) they are FM and digital, they scan, have high/low power, are a solid TX, a good sensitive RX. 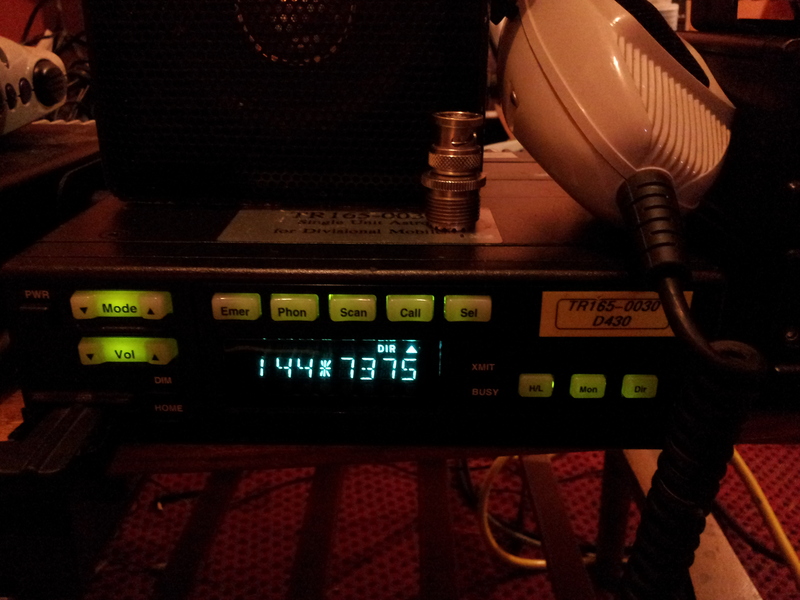 8:) it stops you getting bored with Amateur radio. 9:) professional quality radio and codec, making other ham stuff look like cheap plastic Argos PMR 446 toys. 11:) become an 1337 experimenter again ! Point 10…..is that a proven statement ? September 14, 2014 / Author: Hax / Posted in: The Hot Air Machine..